With neighboring wineries, scenic drives, mountain vistas and sunsets, the Ranch is the perfect place to unwind. 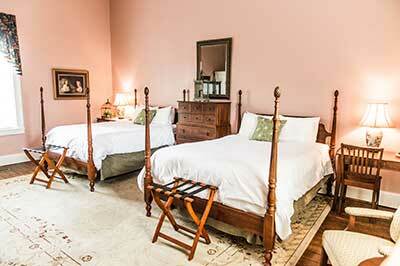 Marriott Ranch is full of history dating back to 1814. 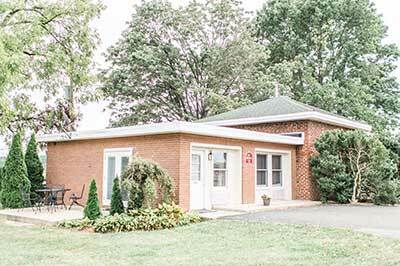 Take a self guided tour during your stay. 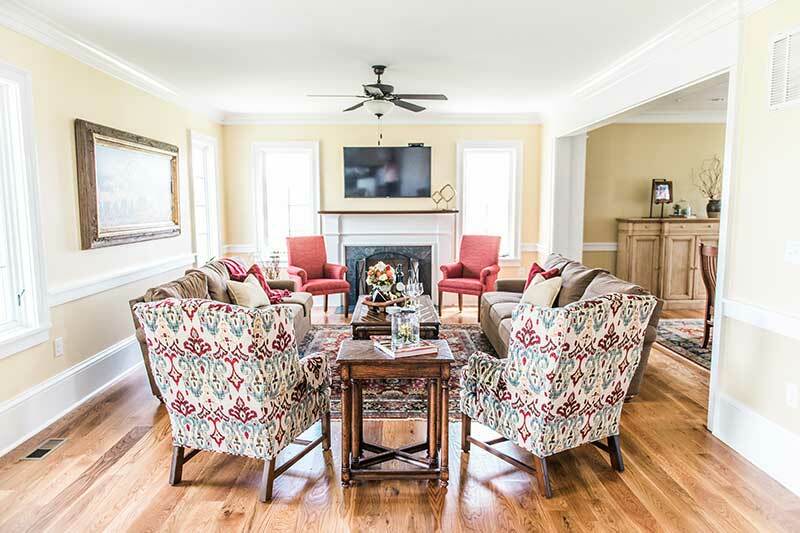 Cozy up with a book or glass of wine - ​you won't want to leave! 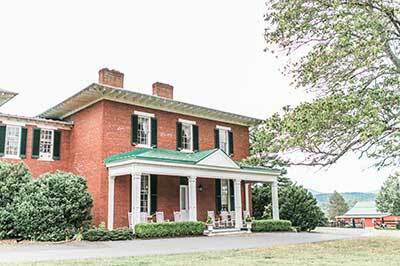 The Inn at Fairfield Farm is a historic Virginia bed & breakfast located in the heart of Marriott Ranch's 4,200 acres. 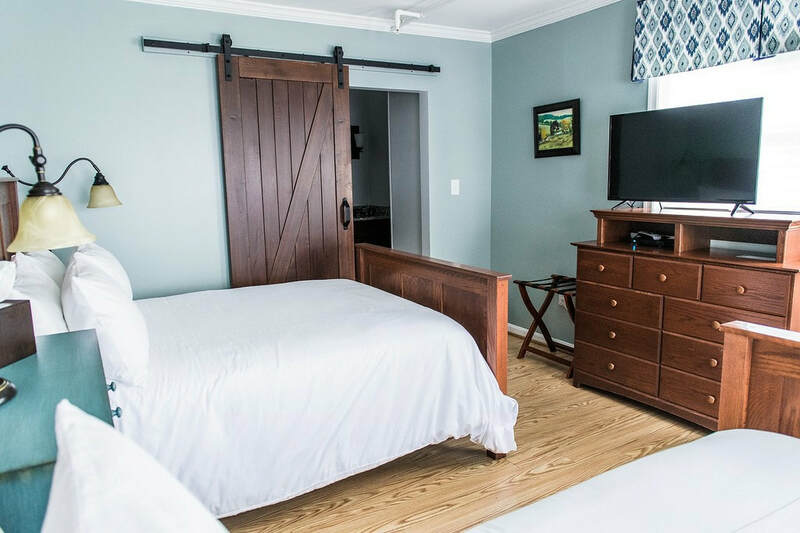 Guests staying at the Inn at Fairfield Farm are welcomed with a complimentary tray of delicious cheeses (4pm - 6pm) along with an assortment of refreshing beverages. 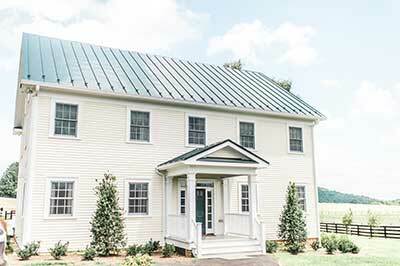 In the morning, a hearty three course "Fairfield Farm" country breakfast is served generally between 8am - 10am. 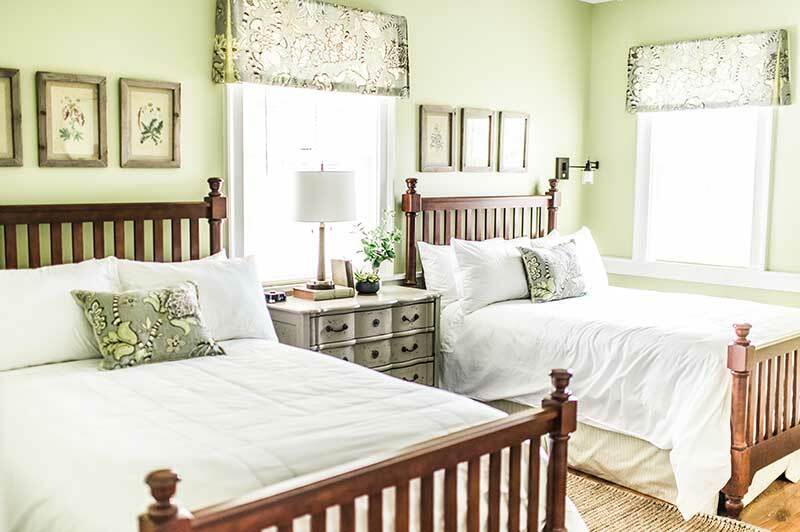 The twelve comfortable guest rooms, along with scenic views, help our guests relax and enjoy the peaceful atmosphere. Each unique building has different character and style - explore and find yours. 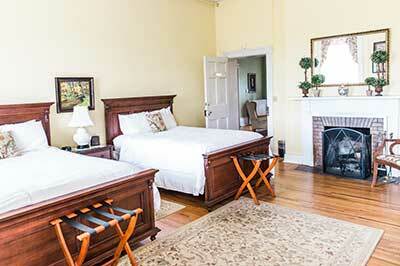 Located on the second floor of the historic Manor House, each room has a fireplace and private bathroom. 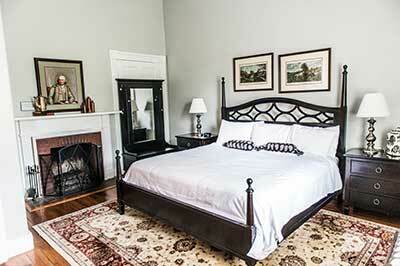 Three rooms have two queen beds in each, while the Morris Room is furnished with a king bed. 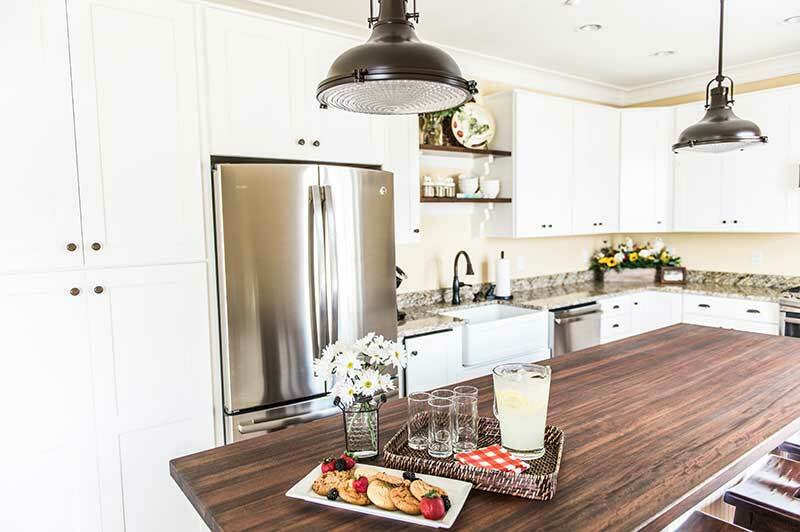 Enjoy complimentary snacks and non-alcoholic beverages from our Butler's Pantry during your stay. The Pantry also contains a microwave, ice maker and Keurig. 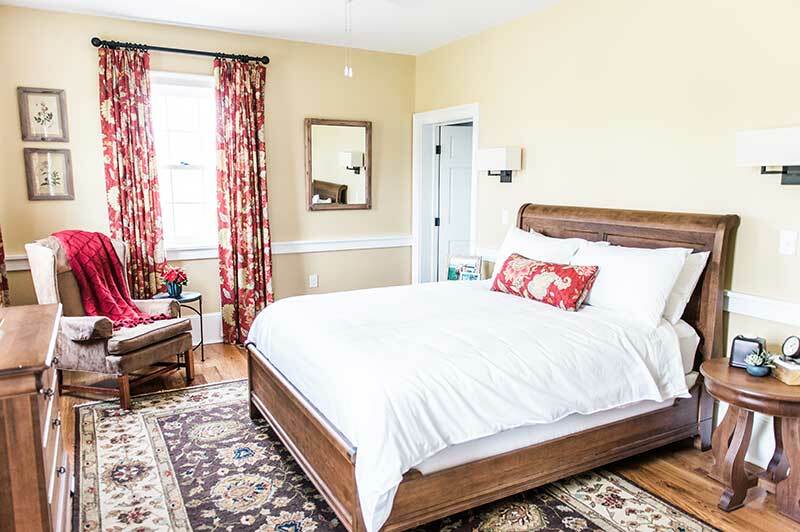 Private ground floor entrances lead to three individual guest rooms, each with their own bathroom. 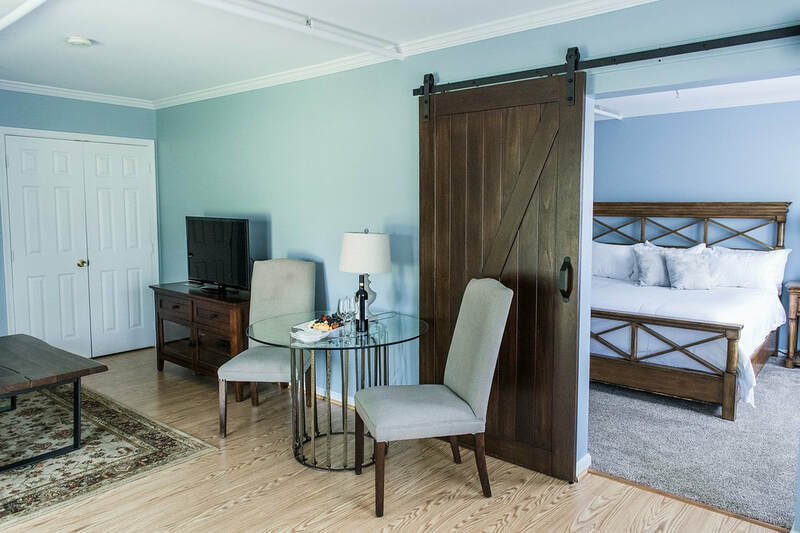 The Fairfield Suite offers a king bed and separate living area with a sleeper sofa. 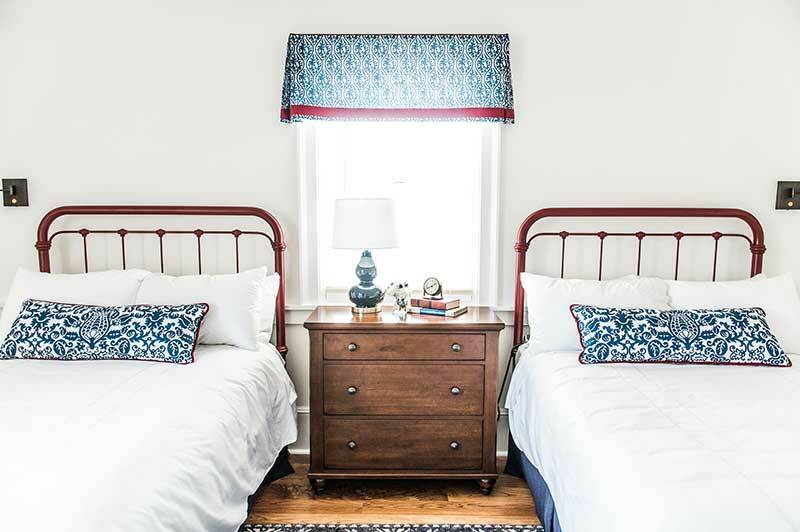 Rappahannock has a queen bed and Fiery Run has two double beds. All include a mini refrigerator, TV and full access to the amenities of the James Marshall Manor House. 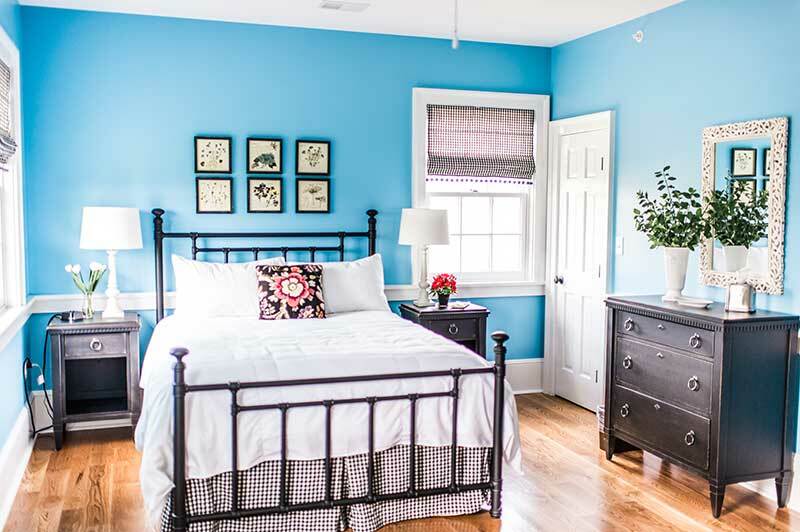 Each room is welcoming. Living room with a large flat screen TV. 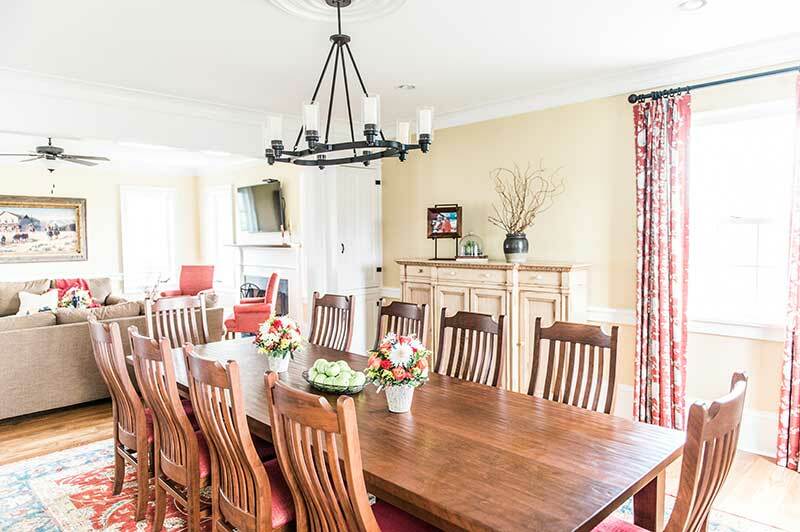 The spacious J. Willard Marriott Board Room is perfectly suited for small gatherings, meetings or social events. 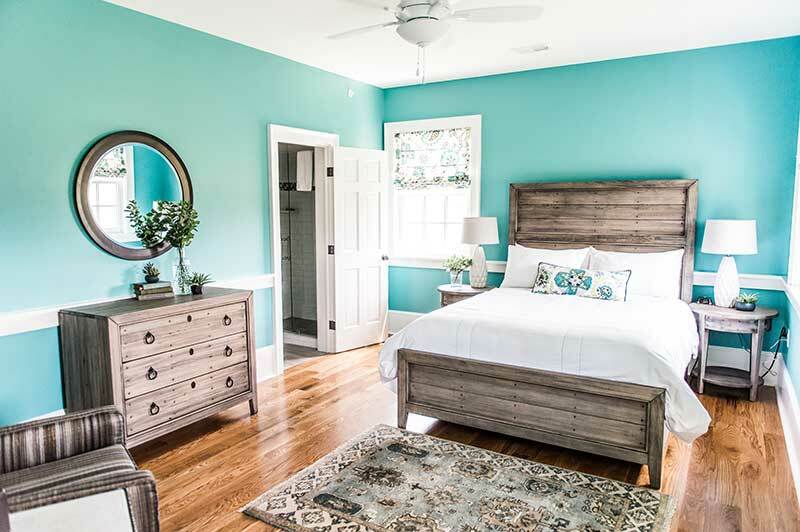 Each guest room has a private bath and the house includes a kitchen equipped with a refrigerator, ice maker, microwave and Keurig. Situated beneath white ash trees and accented by large boxwood hedges, the stately Marshall Manor House built in 1814 by James Marshall, the brother of then Supreme Court Justice John Marshall, will immediately remind you of a gentler era. 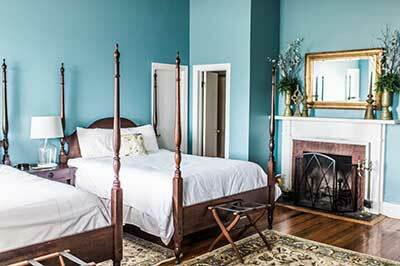 All four rooms are located on the second floor of the historic Manor House, and have fireplaces and private baths or showers. 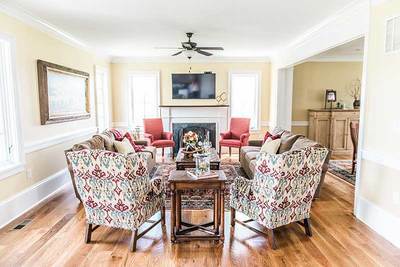 Downstairs, the quiet library, beautiful living room with television, large dining room, fireplaces and impressive foyer continue to provide a warm and welcoming atmosphere for all of our guests. 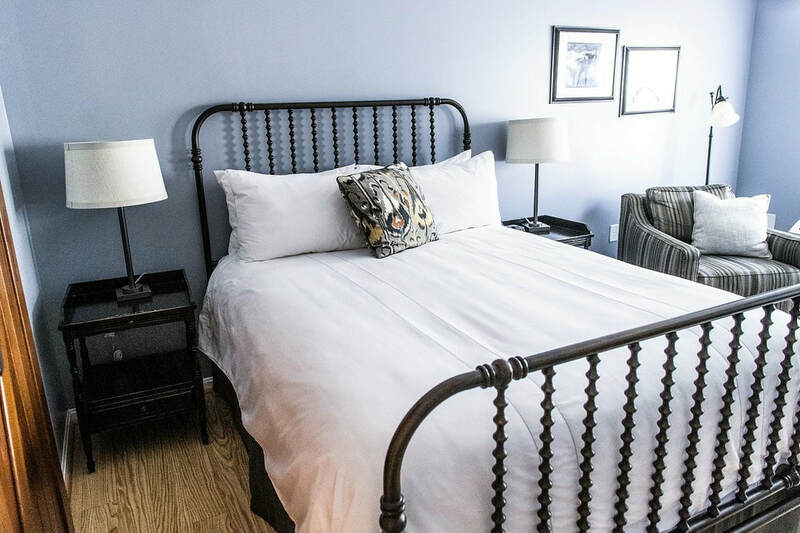 Each room has its own private ground-floor entry, full bath, mini refrigerator, television and full access to the amenities offered in the public areas of the James Marshall Manor House. King bed and separate living area with pull-out couch. Opened in 2016 to replace an older guest house destroyed by a fire years ago is this stunning five bedroom home. 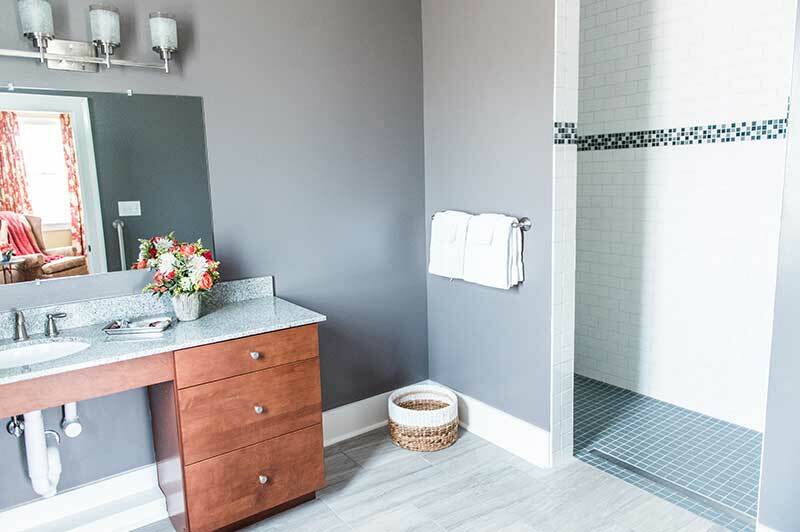 Each room offers a private bathroom. 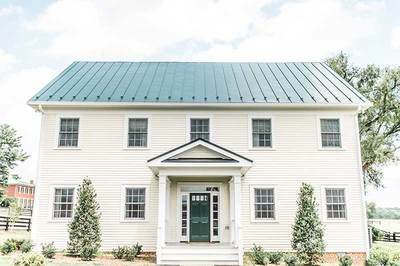 Aptly named The Farm House, the architecture of this building exhibits hints of Greek revival and is reflective of a house one would have found on a successful Virginia farm in the mid-19th century. 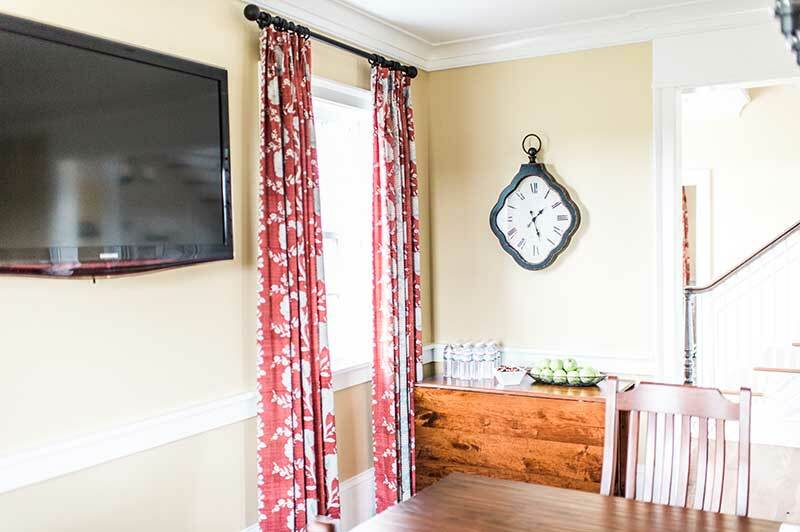 A comfortable living room with a large flat screen TV and the spacious J. Willard Marriott Board Room/Dining Room are perfectly suited for small gatherings, meetings or social events.